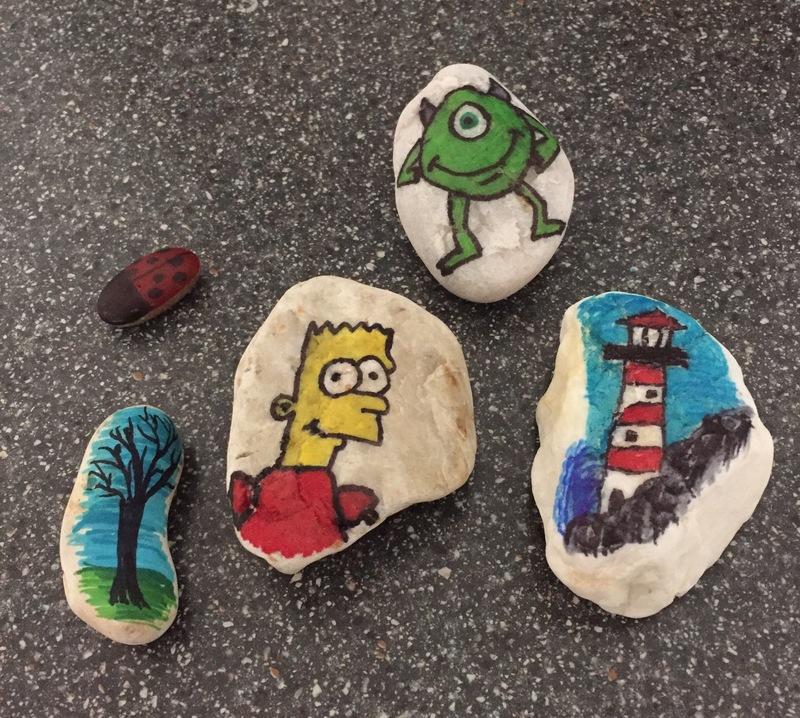 Pebbleart – Hidden Rocks – The Next Big Craze? Recently, whilst on a trip out from the caravan to Morecambe we stumbled across decorated pebbles on the prom. Children were excitedly running up and down trying to find them. On our way back to the caravan we stopped off to have a look at the Folly in Williamson Park in Lancaster. 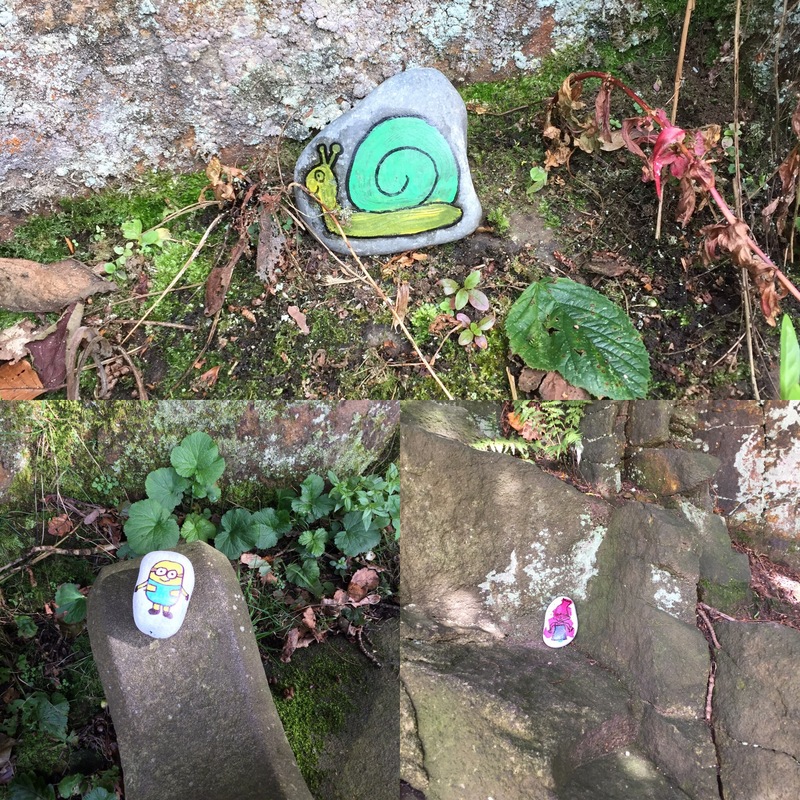 Whilst the Folly was stunning I started spotting more decorated pebbles, they were everywhere. Not obviously everywhere but once you started looking you saw loads. Once again children were everywhere looking for them. Screaming and shouting holding their pebbles in the air like trophies for their grown ups to admire. I didn’t move any of the ones we found. Not fully understanding what the idea behind them was. Once back at the caravan I decided a little investigative work needed to be done. Google to the rescue. How did we manage without Google. It seems that over the school holidays a Facebook group was set up in the area of Lancaster and Morecambe with the aim of keeping the children amused over the school holidays. A great idea to get them out and about in the fresh air looking for ‘treasure’ rather than sitting indoors starring at screens. 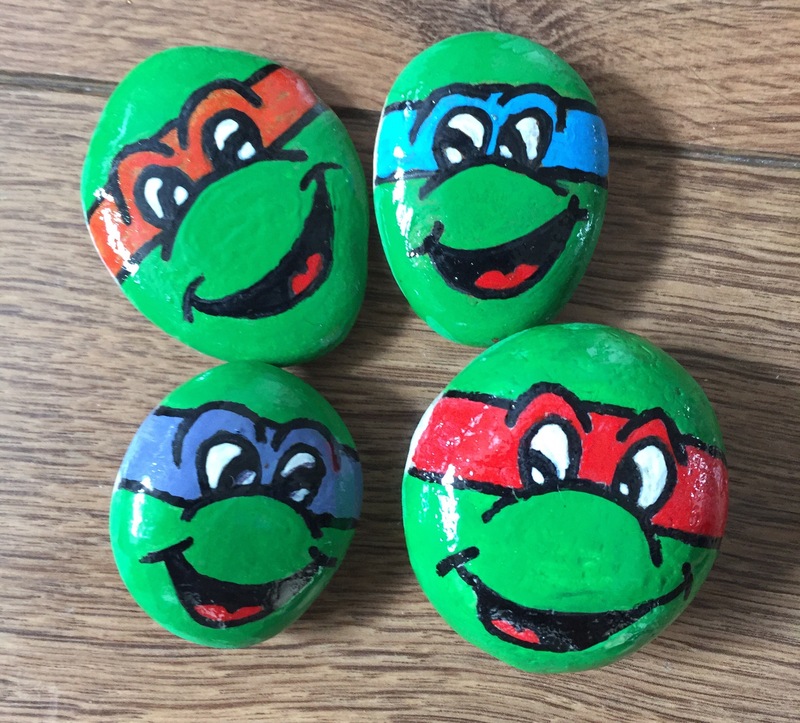 The idea of Pebbleart is that it is a three day activity if you take part fully, although it could take longer waiting for the varnish to dry. Alternatively, you could just go out hunting. Day 1 Get outdoors and collect some rocks and pebbles. Day 2 Give them a clean, decorate and varnish to weather protect them. Day 3 Get outside and hide them and look for more. 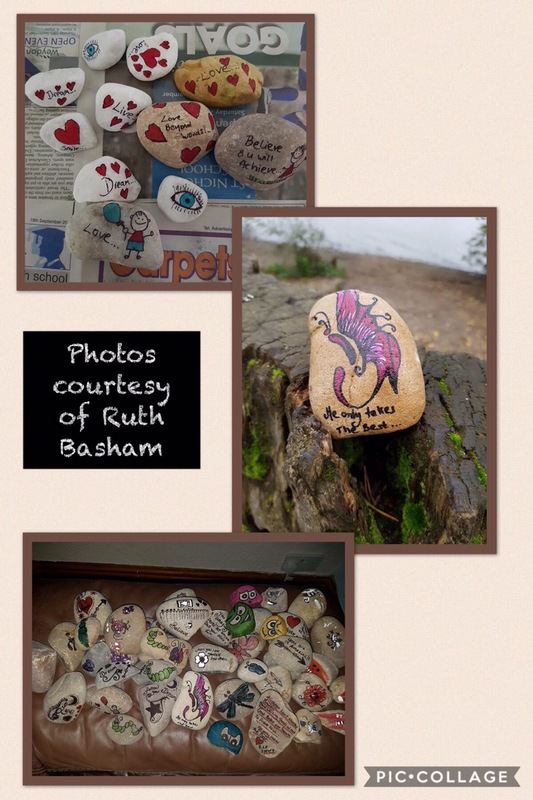 After spotting some of these pebbles, then discovering that the idea was to post photographs of your finds on the Facebook group and rehide your treasures for others to find, I decided to check out their Facebook group. Some of the pebbles hidden in Lancaster were appearing as far away as America! I was bitten. Without young children to partake in this event with me I roped in my youngest Jellybean, Alice, nearly 22, time for Mum and older daughter bonding time. 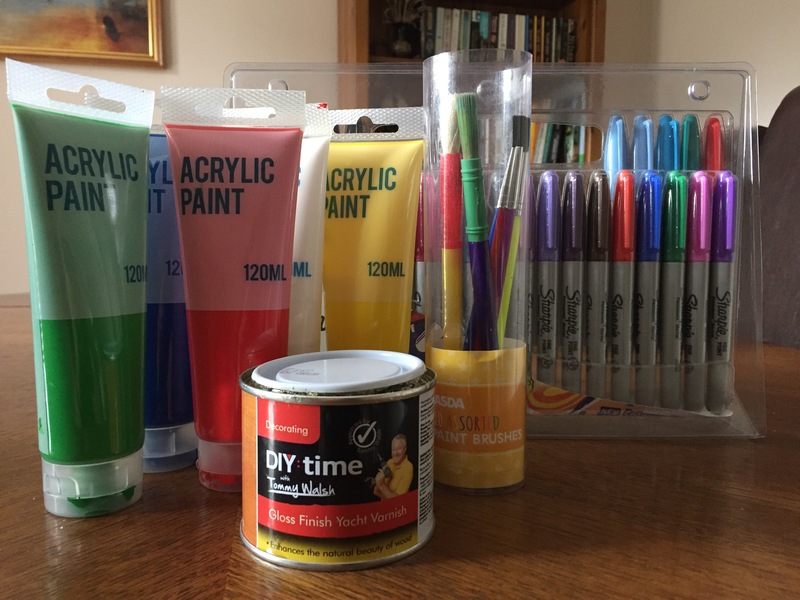 A trip to Poundland we bought acrylic paint and yacht varnish. A walk in the woods and scouring the garden we had our rocks. Let the decorating commence. 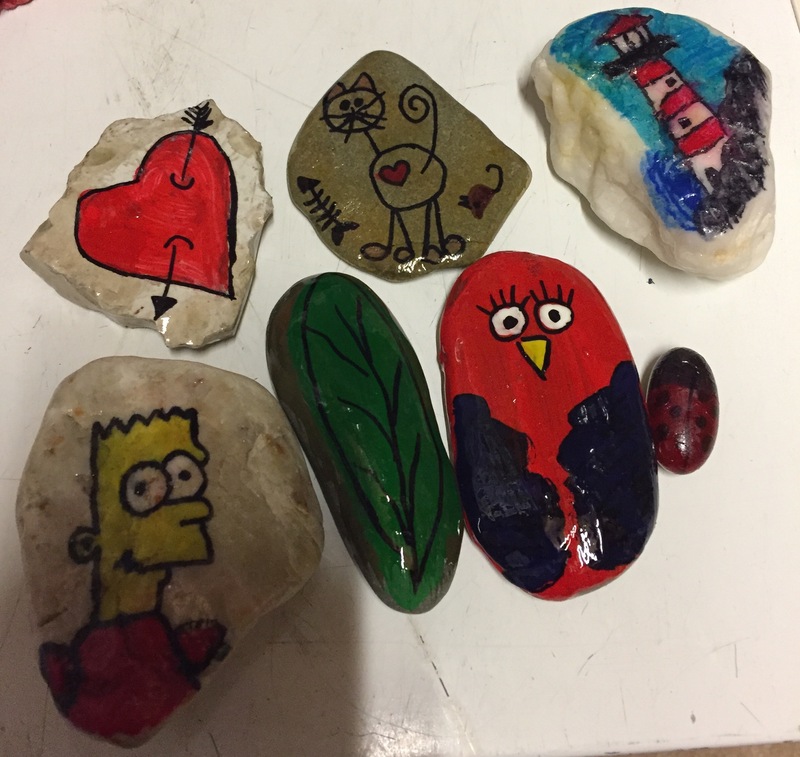 We started off with quite basic designs and got a little bit more adventurous with each pebble. Alice’s Teenage Mutant Hero Turtles even received a purchase enquiry. As we are out and about in the caravan all the time I thought that rocks would be good to hide whilst out and about on our travels. Alice made a bid to become favourite Jellybean by designing a rock with our website logo on. This one is a keeper. It’s going to live pride of place in the caravan. Whilst the first few pebbles were drying this called for a flick through Facebook. A friend popped up sharing a newly formed group, Hidden Rocks. Ruth Basham, a lady from Hampshire had heard of the activity and created the group. I joined within the first few hours, a week later and the group had over 1000 members with some from as far afield as America. Get out there, find some pebbles, decorate them and hide them for others to find. A great way of keeping the children busy and getting them outdoors. Tell your children and grandchildren to keep their eyes open, they are going to start appearing everywhere. Ooooh, you’ve awoken some memories there. 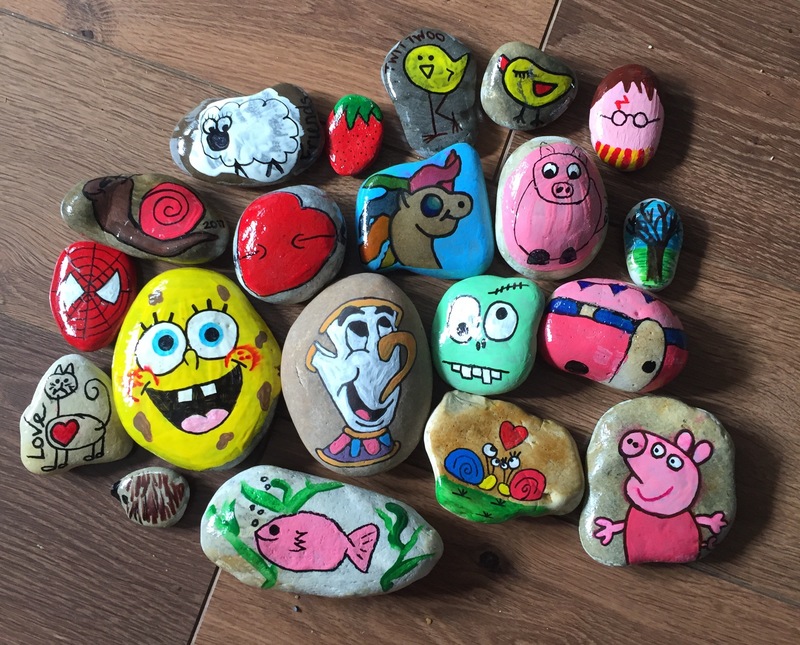 I used to love decorating pebbles like this! If you find yourself in Cumbria, the beach pebbles at St Bees Head were great raw material – really smooth, oval and even. They lent themselves to become owls, ladybirds, frogs etc! We used to walk over to Flesick bay from St Bees. There are some very interesting pebbles there – the ships going into Whitehaven used to dump their ballast, so you can find all kinds of semi-precious stones from around the world; agate and even tiger’s eye and blood stones! This is indeed a brilliant activity and I do it regularly with my girls (aged 2 and 4). However, I recently discovered that it is illegal to take rocks from the beach. I was baffled but I guess if everyone took one then it may be a problem. They can be purchased cheaply from garden centres or The Range so I thought I’d post it here so your readers would know. Sadly someone has already been prosecuted for this “offence” (again, who knew?) and with this getting more popular the authorities will be looking out for it more. It’s also illegal to take them from riverbeds. Most garden centres and DIY stores sell them by the sack. You get an awful lot of pebbles quite cheaply. LOL! I said the exact same thing! Seems like a great idea, and it’s even more appealing now I think of all those lawless mothers looting pebbles.